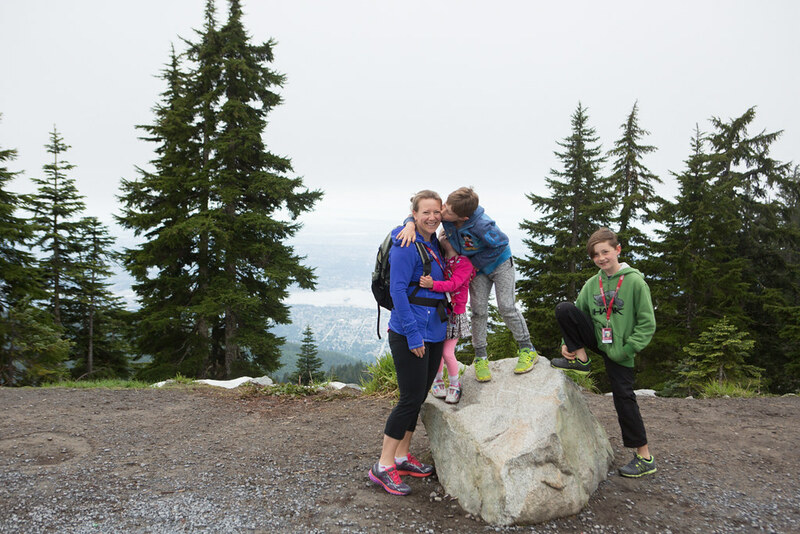 Earlier this year we bought an annual pass to Grouse Mountain. 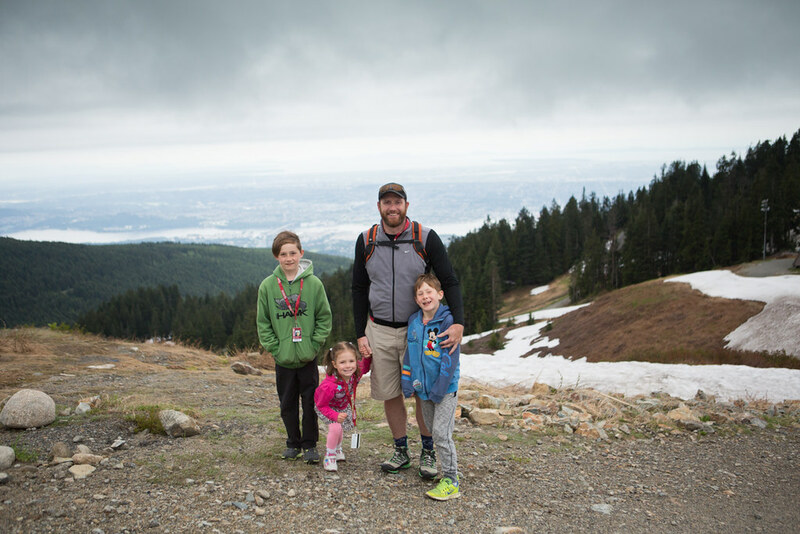 Gary and I have had two snowshoeing dates and we also did the Peak of Christmas with the kids. Today we decided to head on up to celebrate Father's Day enjoying the "summer" activities. I say "summer" because it was still quite chilly! What sort of activities can you enjoy at this time of year? 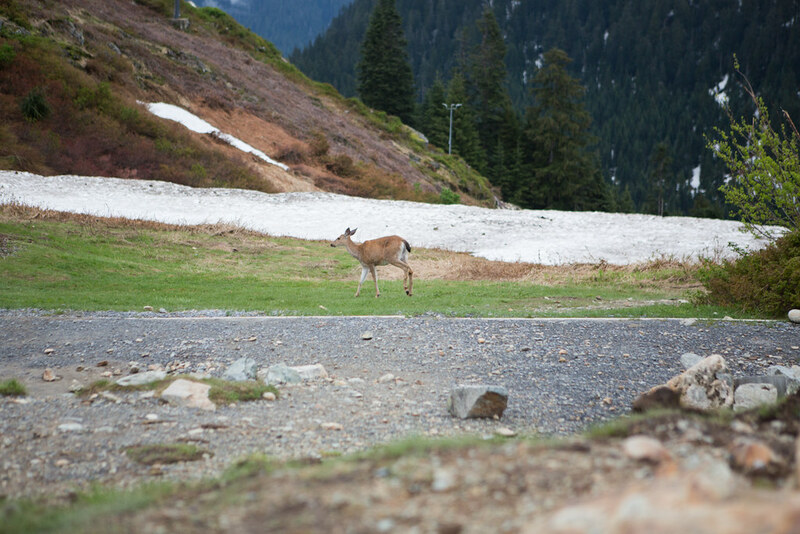 The Grouse Grind had just opened up so the parking lot was a little busier than normal. We took the gondola up because we have a pass and we wanted to enjoy all the activities that Grouse has to offer at the top. 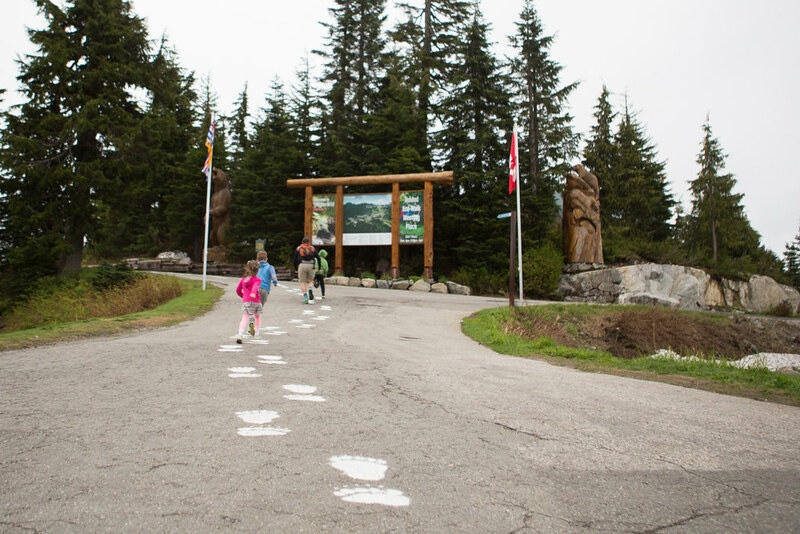 Upon arrival, there are painted paw prints to follow to get to the Grizzly Habitat–the kids loved this! Along the way are beautiful carvings that I never realized existed there as they are normally covered in snow. 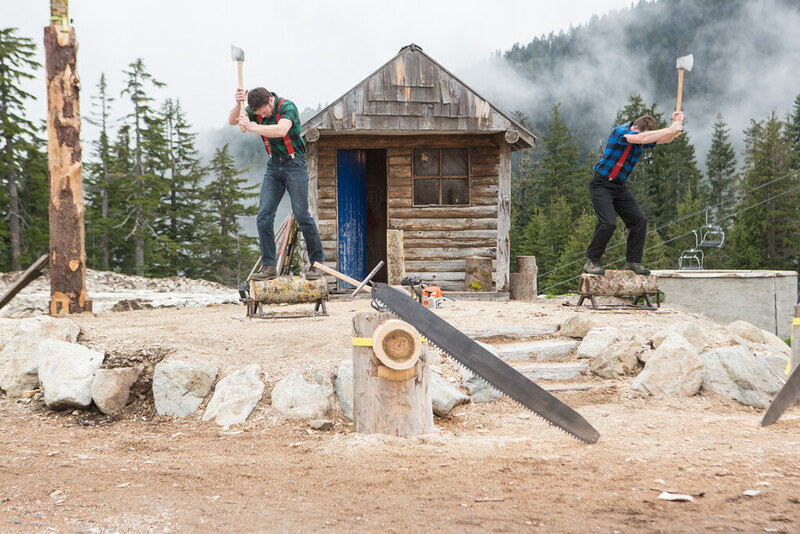 There are different programs offered such as the Owl Interpretive Sessions (10:45am), Theatre in the Sky (9:30am-9pm) and the Lumberjack Show (11:15am, 2:00pm and 4:30pm). I would recommend seeing the Extremely Wild show in the Theatre in the Sky. We were up on one of the first gondolas so had some time before the shows started. We took a walk to the top of the mountain close to The Eye of the Wind. It took about 20-30 minutes to walk up and it was quite steep. Along the way we saw a deer as well as a grouse. It was pretty cool up there so be sure to wear layers! This was the breeding male grouse which was located close to the top. We had to walk through his territory so you have to walk quickly or he will follow you. There are signs indicating to leave him alone. We had a quick snack up at the top and enjoyed the slightly clouded over view which would be amazing on a sunny day! 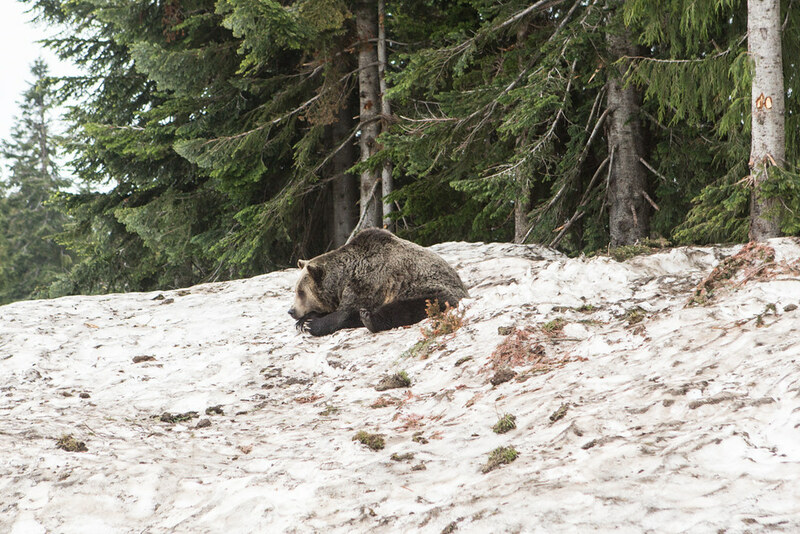 We then went to the Grizzly Habitat. 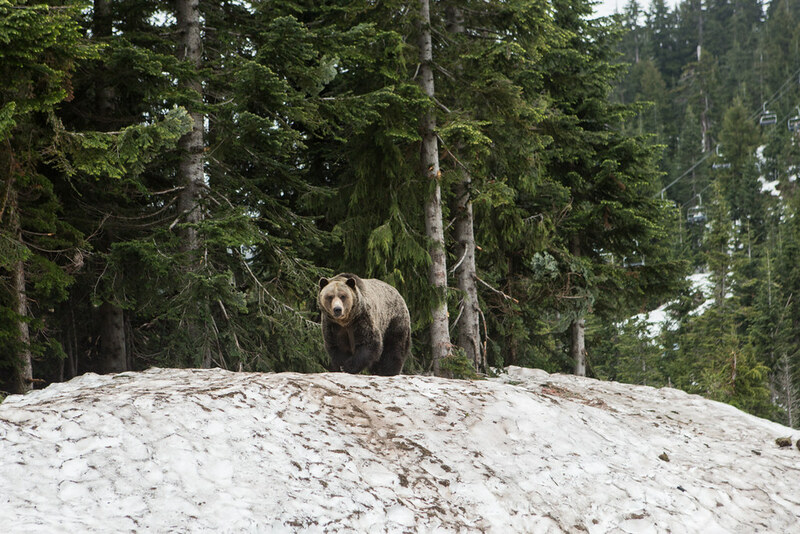 It was amazing to see the two bears, Grinder and Coola, which live in Grouse Mountain's Refuge for Endangered Wildlife. 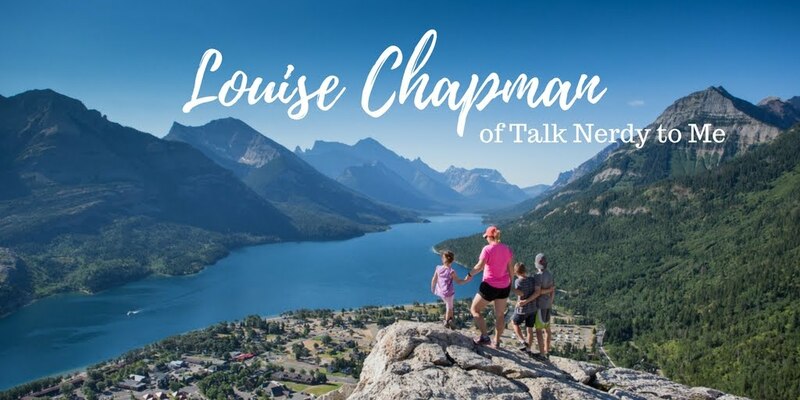 If you watch the Extremely Wild show at Theatre in the Sky it will share a documentary on their lives which we all found interesting. 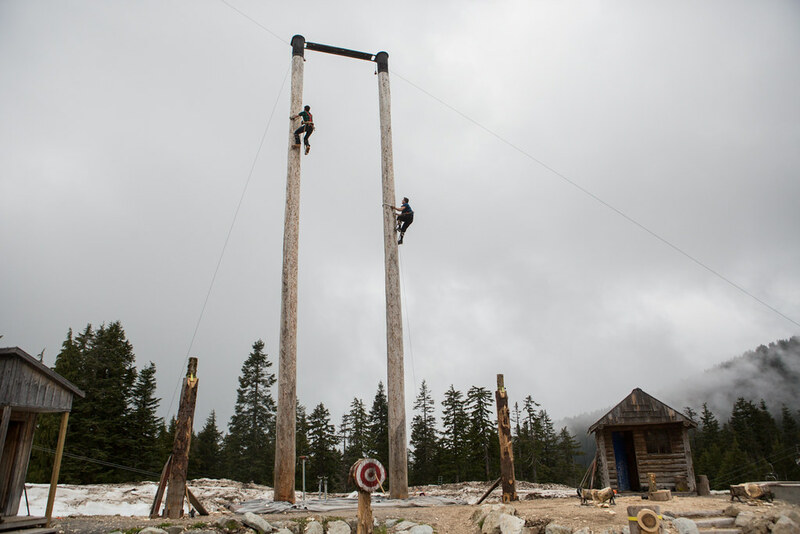 The final activity was getting some Beaver Tails and hot chocolate and sitting down to watch the Lumberjack Show. Everyone in our family was entertained! 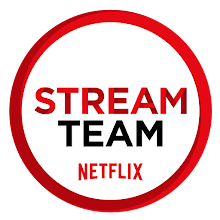 Be warned that there are a few too many adult jokes in there for a family show but they went over our kids' heads. 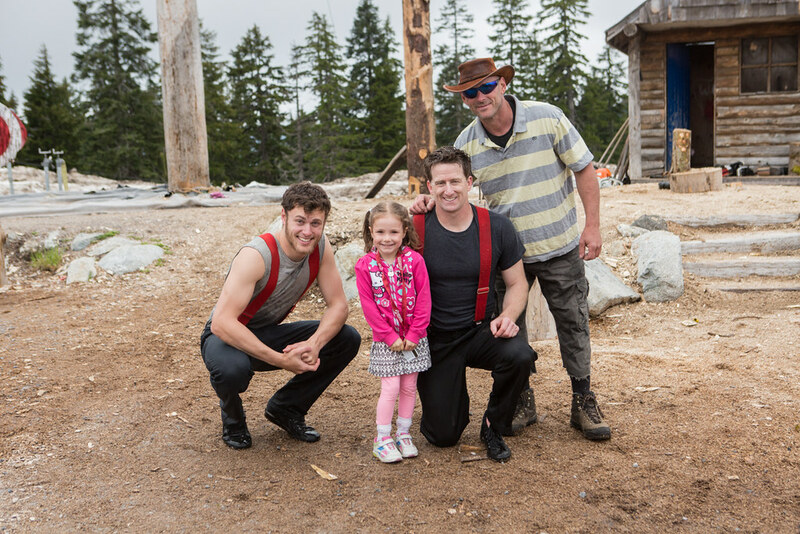 Nya wanted to get a photo with the lumberjacks. We were there for about four hours all together (including the gondola time) and it was a great way to spend the morning! 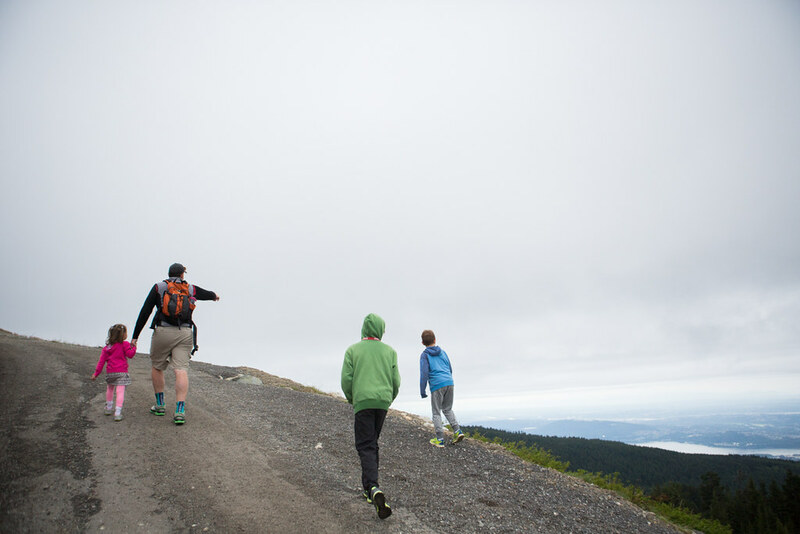 We look forward to going back several times over the summer and will likely climb the Grouse Grind again. Last time the boys were 4 and 6 years old so I know that they can do it...we'll have to see about Miss Nya. 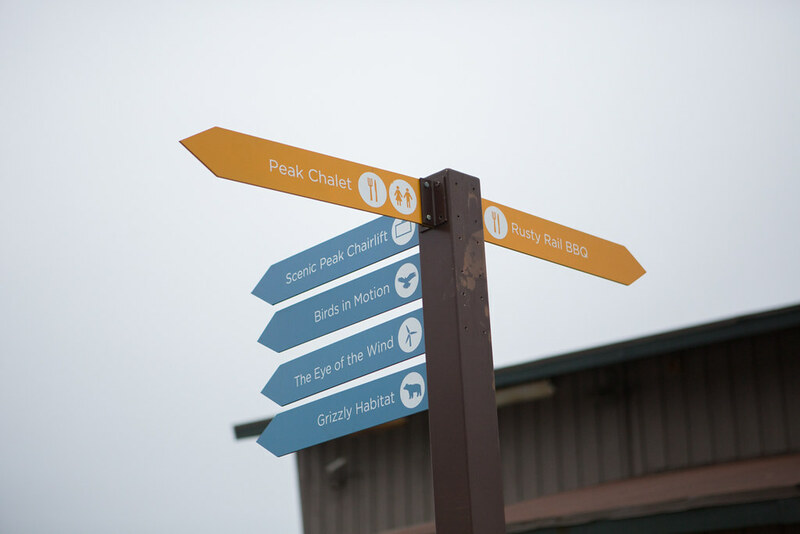 This year long pass is fun because you get to experience all of the seasons! 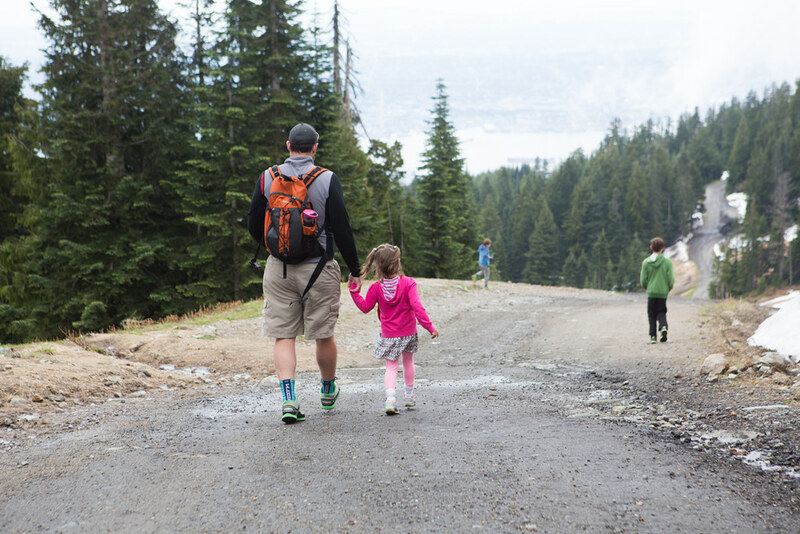 Have you been up to Grouse Mountain in the summertime? 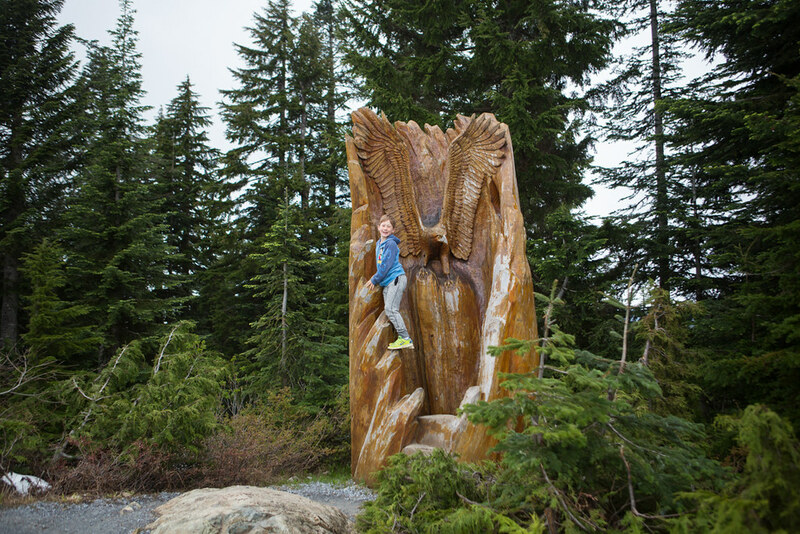 Somehow I didn't realize that grouse (birds) were connected to the name of Grouse Mountain (duh!) Now I know. What is it with your aggressive birds in Vancouver? My daughter-in-law was attacked by a crow last week just minding her own business walking down a sidewalk - it was quite a terrifying experience for her. Anyway...it looked like you had a nice outing for Father's Day! Looks like a great day! 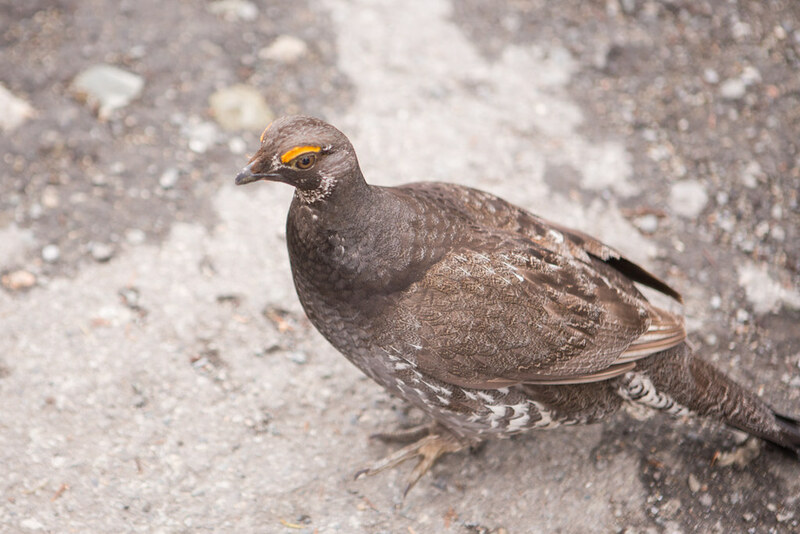 I had no idea that Grouse was named after a bird!